I love old family recipes. I also love cookies. My mom makes some pretty fantastic oatmeal cookies. They are my grandmother’s recipe, handed down on a butter stained note card, and they are lovely. Crisp throughout with a hint of cinnamon and a lovely nubby texture makes them instantly craveable. 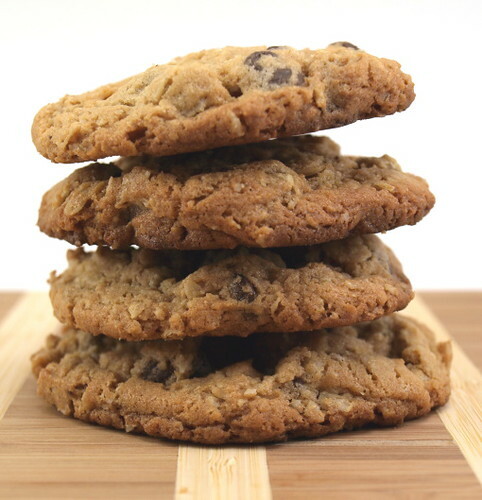 They are mom’s go-to cookie and the most frequent dessert offering at her house. In fact, there is almost always a batch of them in the cookie jar. 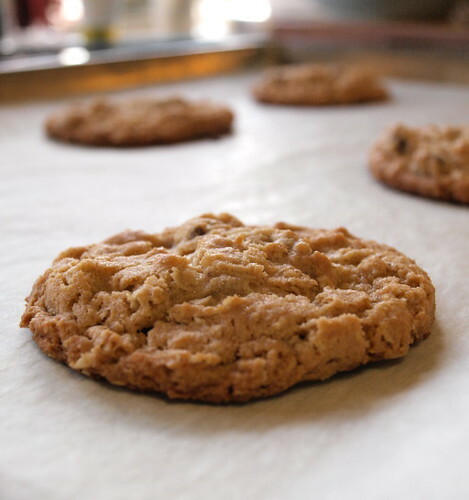 I used the recipe for the crisp oatmeal cookies as the base for these cookies. I was looking for a peanut butter oatmeal cookie with a little crunch. I had some extra chocolate chips and decided their addition would not go amiss. 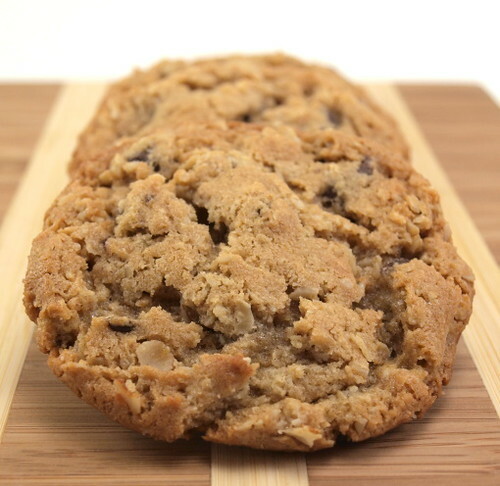 The result is a crisp cookie with the right balance of oats, peanut butter, and chocolate. 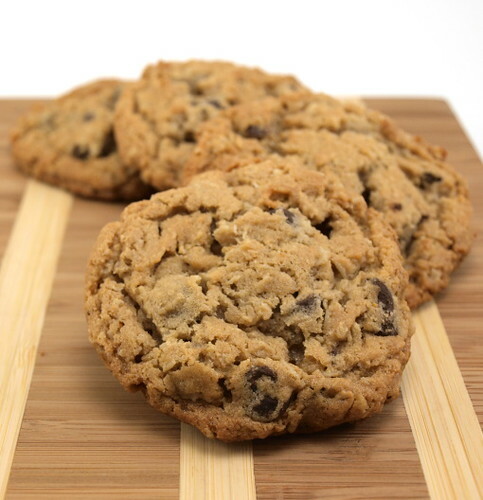 They keep for up to five days in a sealed container on the counter making them perfect for your cookie jar! Heat the oven to 375F and line two baking sheets with parchment paper. 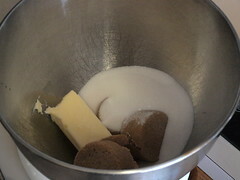 In the bowl of a stand mixer, using the paddle attachment, cream the butter and both the sugars on medium-low speed until well mixed but not light and fluffy. 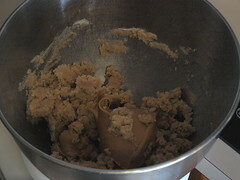 Add the peanut butter and mix until well blended. Add the egg and vanilla and mix until well combined. 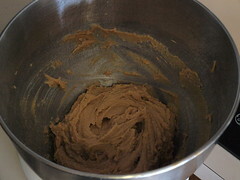 In a medium bowl combine the flour, salt, baking soda, baking powder, and cinnamon. Whisk until well combined. 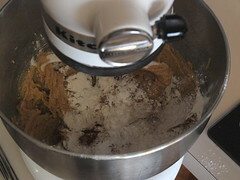 Add the dry ingredients to the bowl of the mixer and, on low speed, mix until most of the dry ingredients are combined. Add the oats and chips and mix them in on low speed, or by hand. 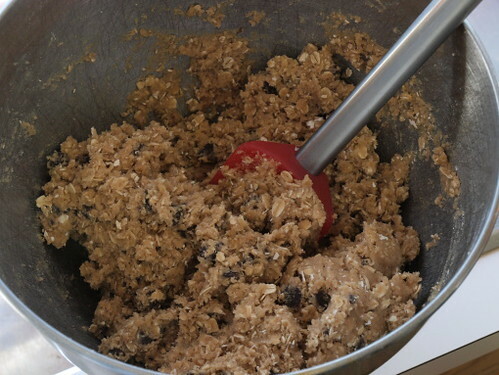 Scoop the cookies on to the prepared pan by rounded tablespoons. Bake for 9-12 minutes, or until the cookies are lightly browned and puffed. Cool on the pan for 3 minutes before transferring to a wire rack to cool.